I totally get where these statements and sentiments come from. In the space of just over two years, our family has received two separate, challenging diagnoses that have completely changed our lives. There have been many similarities in the process of receiving those diagnoses, too – the signs, the suspicion, the waiting, the confirmation, the grief, the sharing of news. Yes, there have been some extremely rough moments in the past few years. Yes, we have a lot going on in one little family. 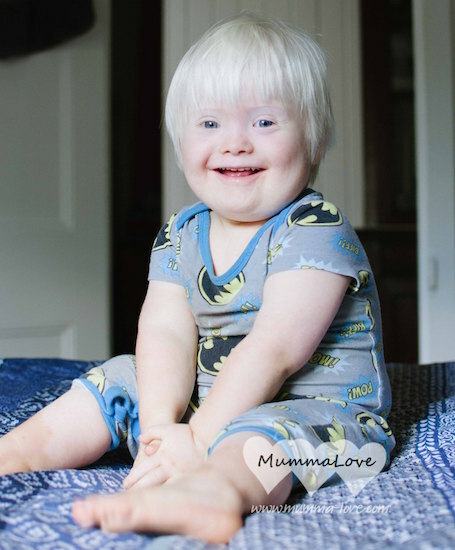 But, despite the similarities in the process of diagnosis, is it fair to compare Down syndrome with leukemia? Is it fair to compare the potential complications of having three copies of a 21st chromosome with cancer? I think it’s like comparing apples with oranges, chalk and cheese. 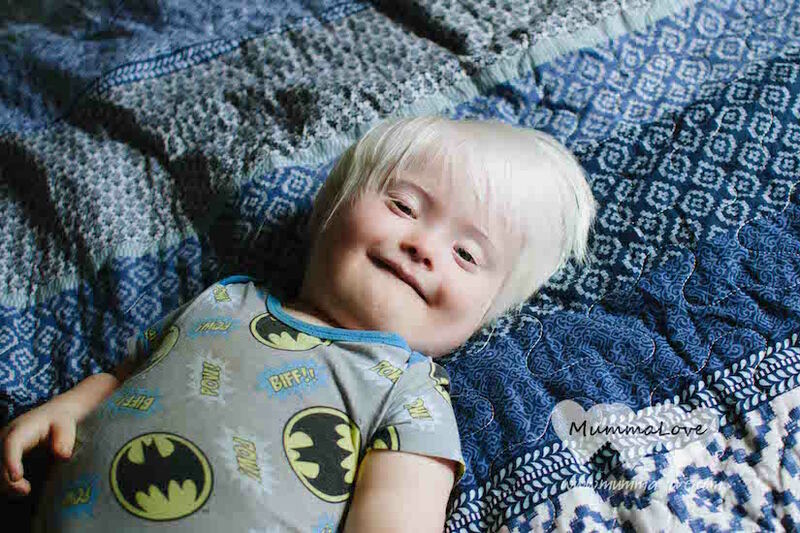 When Sam was first diagnosed with leukemia, my husband, Ben, and I mused that “two weeks ago, the biggest thing in our world was having a son with Down syndrome.” And it was a big thing to us back then. But leukemia has helped us put Down syndrome into perspective, and quickly it paled in comparison. Receiving the news 18 weeks into the pregnancy that our baby had Trisomy 21 was devastating. But in hindsight, we know Nicholas’s diagnosis was our training ground for what was to come. Ben and I learned a lot about ourselves and our relationship as we came to terms with the diagnosis, and it prepared us in many ways for facing the next curveball. We learned that, in spite of the fact we deal with challenges differently, we needed to lean in and love each other even more, even when our natural inclination can be to shut down and fly solo. Through the gift of the Trisomy 21 diagnosis, “Team Love” became stronger and more resilient for when we had to face leukemia. If we had chosen to terminate the pregnancy and not keep our third baby, I’m pretty sure after Sam was diagnosed with Leukemia, we would have said something like, “Isn’t it lucky we don’t also have that high-needs child to think about at a time like this?” We might have been thinking we’d saved ourselves some heartache not having two children to worry about. But the truth of the matter is that, in the challenging time after being told Sam had leukemia, Nicholas was the light in our darkest of days. His big smile, his cheeky giggle, his melting hugs – they saved us, and we needed his presence like oxygen. Nicholas is pure love. While it’s in my nature to see the good in both diagnoses, Down syndrome isn’t like leukemia. Yes, we have been blessed by a child whose Trisomy 21 label hasn’t been accompanied by any health complications so far, but even if it did, I would choose three copies of a 21st chromosome over leukemia in a heartbeat. 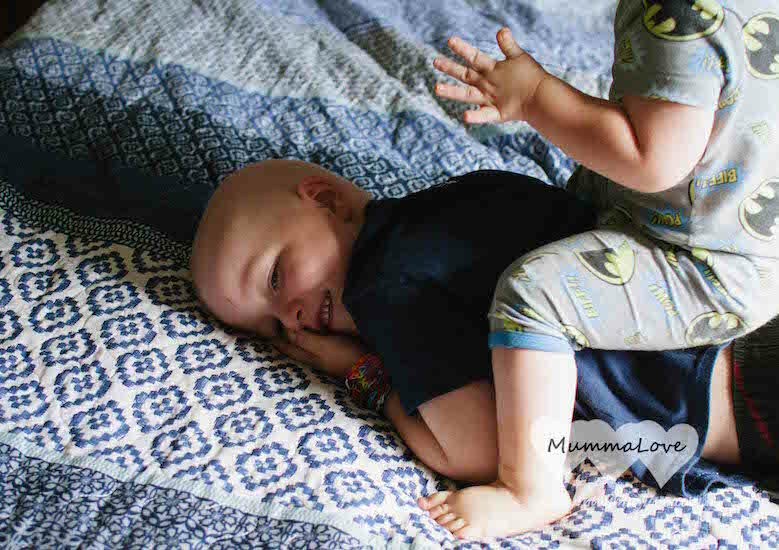 If I had to choose between watching my child achieve milestones a little later, low muscle tone, almond-shaped eyes and a list of “possible” characteristics, or watch my child endure chemotherapy and face losing him to cancer? There is no question. Some days I do feel exhausted and overwhelmed by the high needs of two children. But most days, I’m just exhausted and overwhelmed by the juggle of having three children in general. I have learned all children come with their own version of “high needs”; they just manifest in different ways (and, just quietly, Nicholas is probably the lowest maintenance of all my children). We make a conscious choice to take one day at a time. 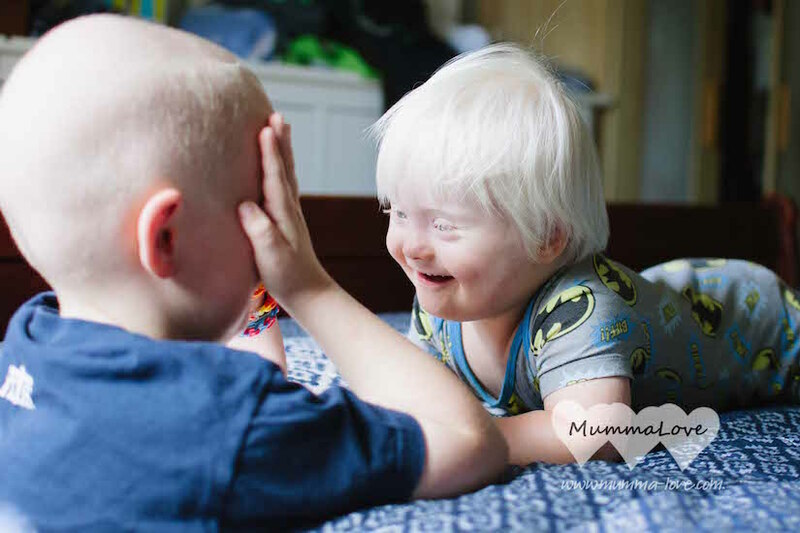 While they are different diagnoses, both leukemia and Down syndrome have helped us to slow down, appreciate our blessings, and celebrate every milestone achieved and every day we have together. Follow this journey on Mummalove.